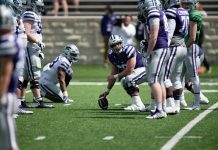 Throughout the 2018 football season, Kansas State has not had a guaranteed starting quarterback hold down the position. Both sophomore Skylar Thompson and junior Alex Delton have played each game, and that was no different in Saturday’s 19-14 loss to No. 18 Texas. Thompson had started every game leading up to Saturday’s match and has seen more playing time than Delton. With that being said, the Wildcats seemed totally out of place and unprepared starting with Delton in the game against Texas. The move to have Delton start came after a poor performance overall from the offense at West Virginia in week four. K-State only put six points — two field goals — on the board during the game. While the first half was nothing short of a disappointment, the biggest area of concern came from the offense. They were only able to average 2.1 yards per play and earn 64 yards the entire first half. The offense also gave up a safety and dropped a touchdown pass to end the first half, which would end up costing them the game. After the game, junior running back Alex Barnes talked about the energy in the locker room at halftime. “The running back section was quiet then there were a couple of guys who got up and started giving us some energy, and we realized it’s do or die,” Barnes said. Thompson was put in at the start of the second half, and it looked as though a completely different team had emerged. 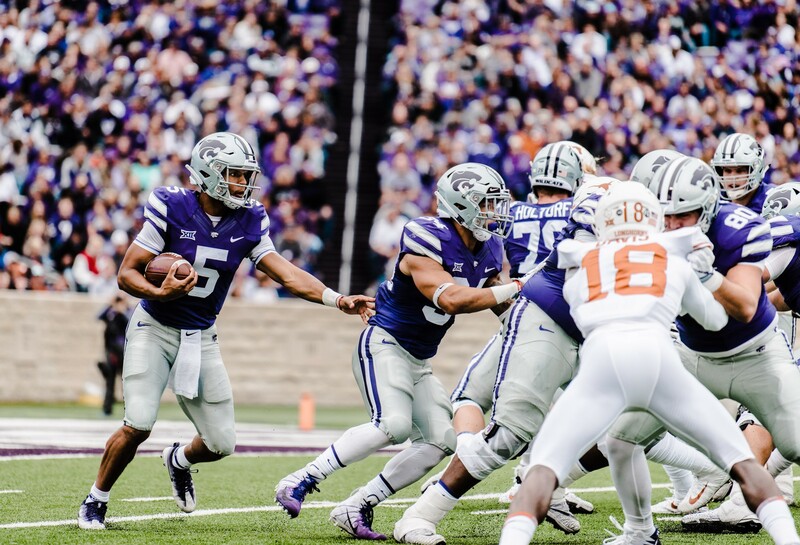 On the first drive, the K-State offense was able to score a touchdown, giving them a spark that hadn’t been seen during the first half. “We came out with a sense of urgency and we played with a little bit of fire and spirit,” junior wide receiver Dalton Schoen said after the game. That spirit that Schoen mentioned was something that carried onto all three sides of the ball. The defense didn’t allow Texas to score during the second half, and special teams redeemed themselves after allowing a 90-yard punt return by freshman D’Shawn Jamison in the first quarter. While the spark seemed to come after Thompson entered, junior offensive lineman Adam Holtorf said he doesn’t think Thompson being put in was a major factor to the energy shift itself. That ever-present energy was once again seen with just under 10 minutes to go in the fourth quarter when the Wildcats were able to score another touchdown, putting them slightly behind the Longhorns 19-14. 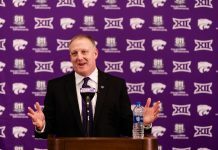 While Thompson was able to put up more yards and points for the Wildcats, it still remains unclear as to who will start next week’s game against Baylor in Waco, Texas. The Wildcats will take on the Bears on Saturday at 2:30 pm. The game can be seen on FS1 and listened to on the K-State Sports Network.